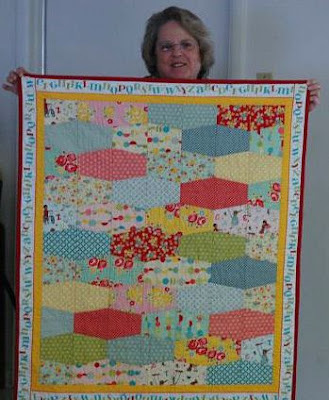 Winners of all the fun drawings we have each month! 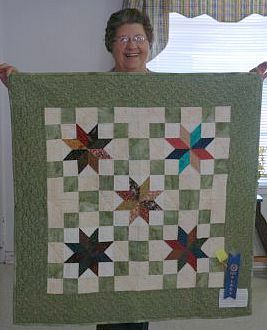 Latrelle Locks was taking the group picture above....she was a winner as well ! 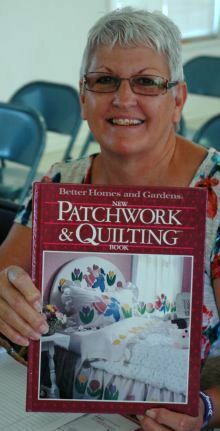 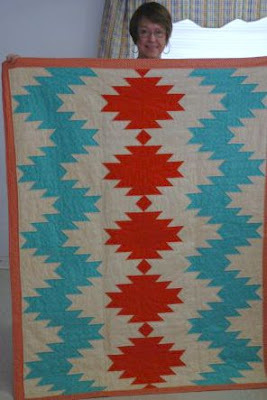 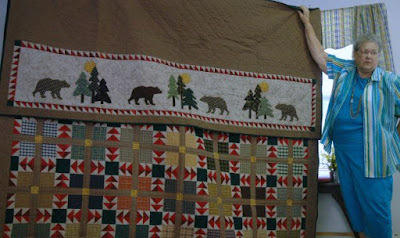 Ruby Goodwin shows - Bear Paw quilt and Topper hand quilted by her daughter. 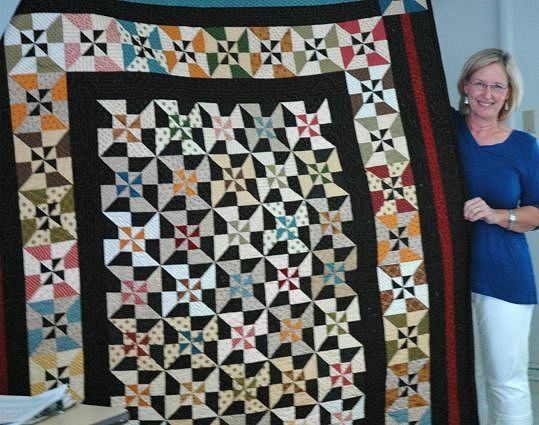 Both were entered in an extension club county show and won 1st in district and will go on to the state fair in September. 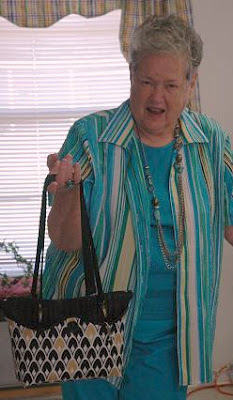 Ruby also shows a purse her daughter made....Ruby's a proud Mom ! 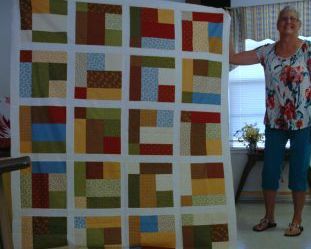 Joy Early shows her first place quilt that was entered in a craft show. 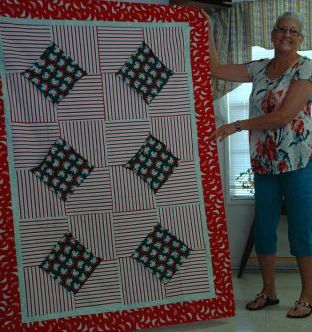 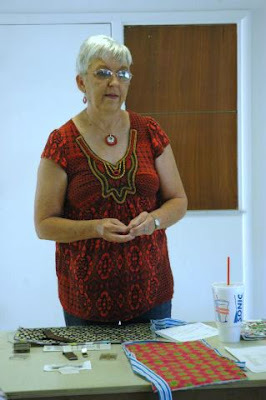 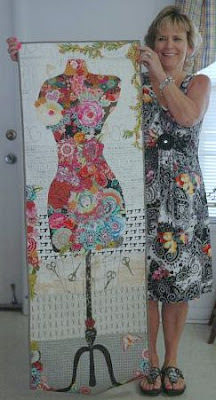 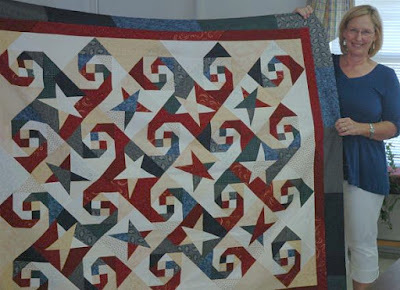 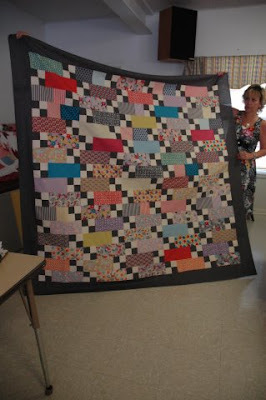 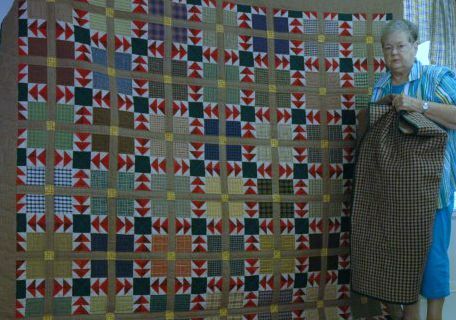 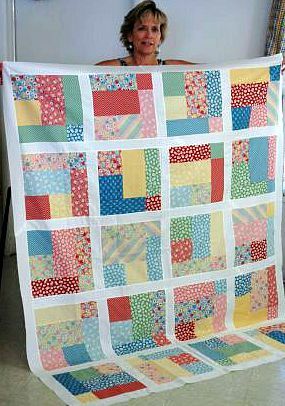 Angela McCorkle shows us a "Four Patch Frenzie"
and a collage dress form art quilt. 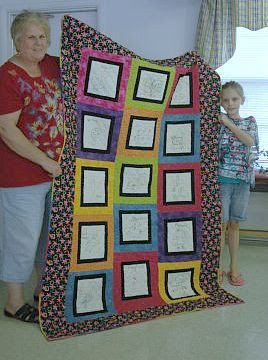 Jonna Burkes and Miss Chloe are showing "Chloe's Doodles". This quilt was made using drawings by Chloe when she was four to six years old. 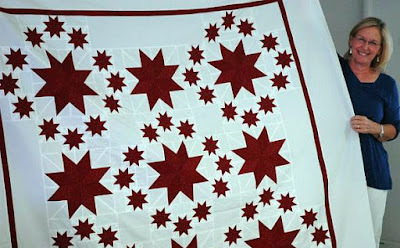 Jonna transferred the pictures to cloth and Chloe hand-embroidered them. 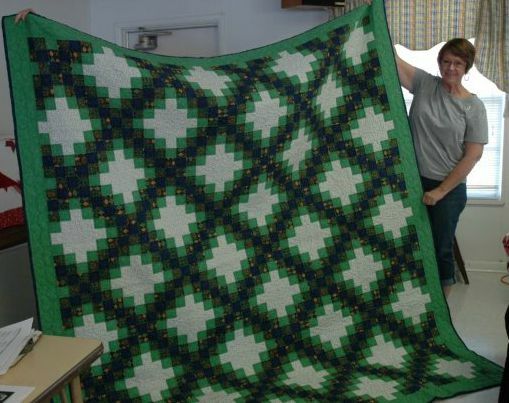 and a "Triple Irish Chain she made and hand quilted for her son. 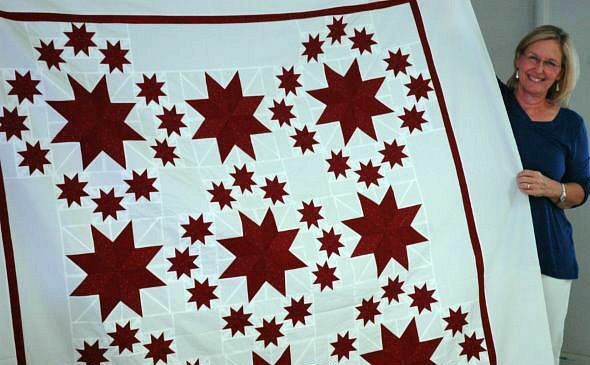 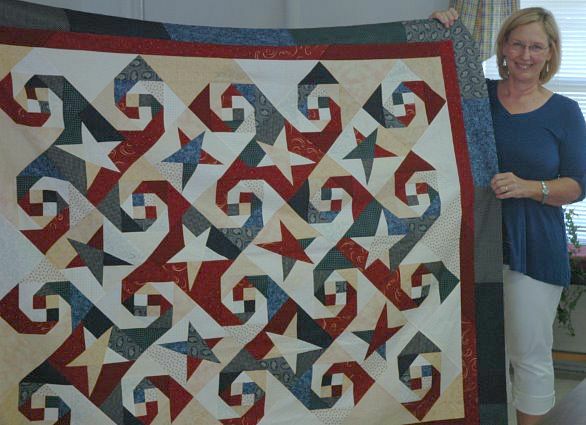 Debra Revay shows her "Tumbler" quilt made for her granddaughter.